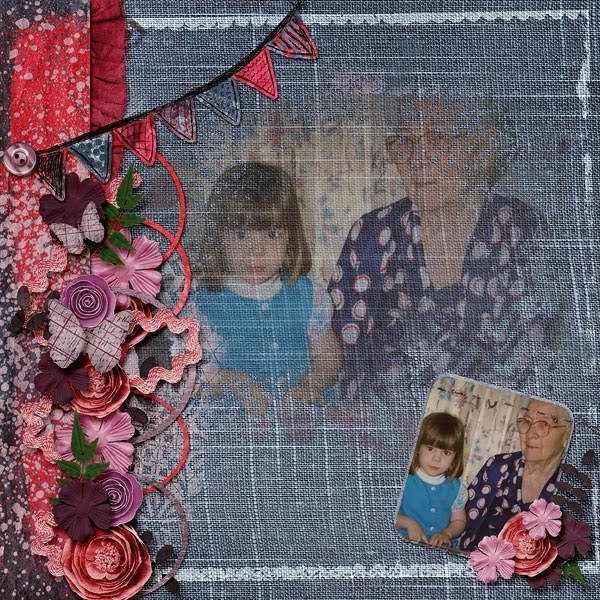 This week I have been working with the new May Collab Shabby Chic. I am in love with the colors of this new kit. It is soft and feminine but with just enough gray punch to make it not too fussy. The elements are all just gorgeous, and the papers are to die for. LOVE, LOVE, LOVE! I really enjoyed working with this kit, and made a couple of layouts for your inspiration. They are of my granddaughter Abby. It is hard to believe she is graduating in a couple of weeks. Where did the years go? This kit was perfect for a girl who loves pink. I have been playing with art lately. I just finished up some ATCs for a Butterfly Swap on our Paper Traders Yahoo Group and I am quite pleased with them. I thought I would share how I did them in case some of you have not played with foil duct tape yet. I love this stuff! Get it in the hardware store. These cards were a take off of a tag tutorial Tim Holtz posted a while back. I love all his great ideas...especially anything grunge! What I did: First I covered my precut ATCs with cut strips of the aluminum tape. (It wasn't wide enough to cover the whole card so I cut strips to make a patchwork look and placed them at various angles. Next I ran them through my Cuttlebug with Tim Holtz's Steampunk Gears embossing folder. I ised a large needle and an embossing stylus to pierce little stitch holes and marks along the "seamlines" of the foil. Once I had it like I wanted I covered the background with slate alcohol ink, which I then rubbed off with a rag with a bit of alcohol on it so it would leave the ink in the low places. Glue another ATC blank to the back to give stability -- backgrounds done! Set aside. For the butterflies I covered some cardstock as I did for the backgrounds but I embossed with Tim Holtz's Patchwork embossing folder, I covered with slate alcohol ink but rubbed off most of it. Then I covered it with orange and rust alcohol inks and blended them around to give an aged look. When doing this you have to be careful not to work it too much or you will dissolve the dark ink from the low places, You want it in those cracks for depth. Once I was happy with my foil I hand cut my butterflies, (I didn't have a die the right size for ATCs.) I used my stylus to create a "body" for the butterflies, curled the wings up and over to simulate flight and added black foam dots to the back of the lifted part of the wings. To assemble I added a strip of tissue tape along one side of my background, then I mounted the butterflies using the foam dots and a flat glue dot at the body to keep the contour. I used a book arrow for the "fly" tag. Using metal dies I added the letters to the arrows, then rubbed with the slate alcohol ink, sanded it off so it was only in the letters, and added them to my cards using a small glue dot to keep them from sliding around -- or off. :-) Ta Da They are done! 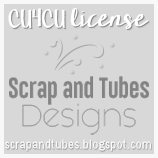 Hello friends, Can you believe it is time for the Scrap n Pieces Blog Train already. Where does the time go! 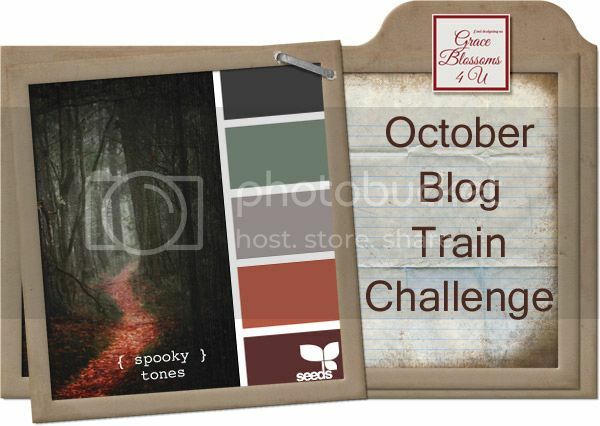 I love this month's palette - some of my favorite colors. I made a mini kit for you. I hope you enjoy it. Below is the rest of the train with many lovely offerings, so don't miss a single stop. 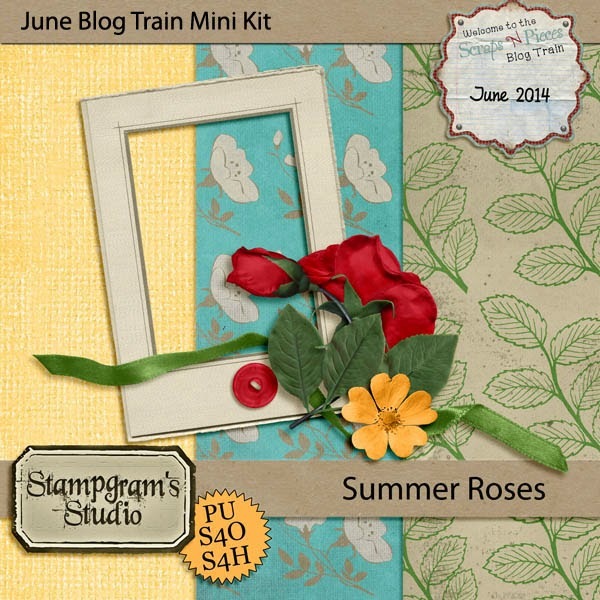 It is time again for the Scraps and Pieces blog train. Due to travel and family obligations I was not able to participate in every train this summer, but it is good to be back creating again. This month our color theme was a cheery palette of a sunny yellow and vibrant pink with just a touch of greyish blue thrown in. I loved playing with these colors. You can see all the kits below. I made you a mini kit. I hope you enjoy it. You'll want to grab all the kits in the train so you will have a mega kit to play with. All the other stops are below. 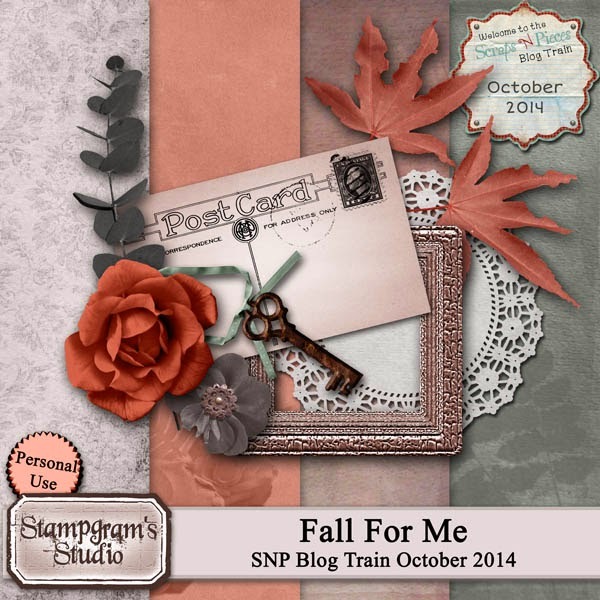 Can you believe it.....it's time for the SNP Blog Train already! This month we had a bright cheery summer palette to work with. I am loving all the variety it offered. 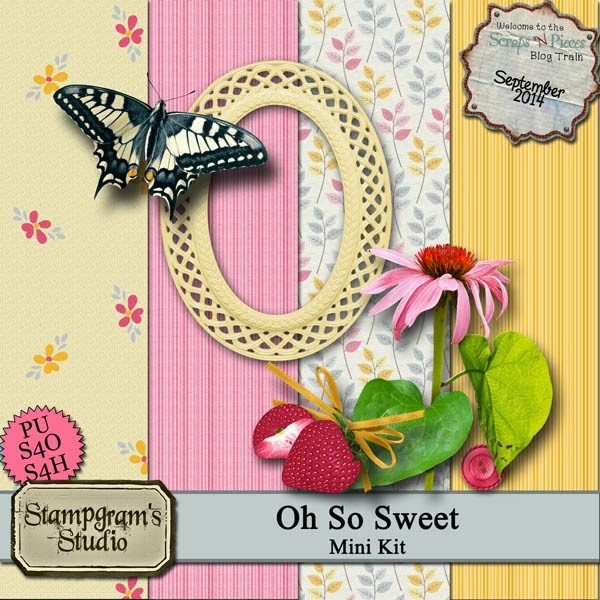 I made a little mini kit for you. I hope you enjoy it. LilyAnn, from A Fish Design asked me to post this for you! The title of this month's Mixology at GDS is Gone Fishin'. 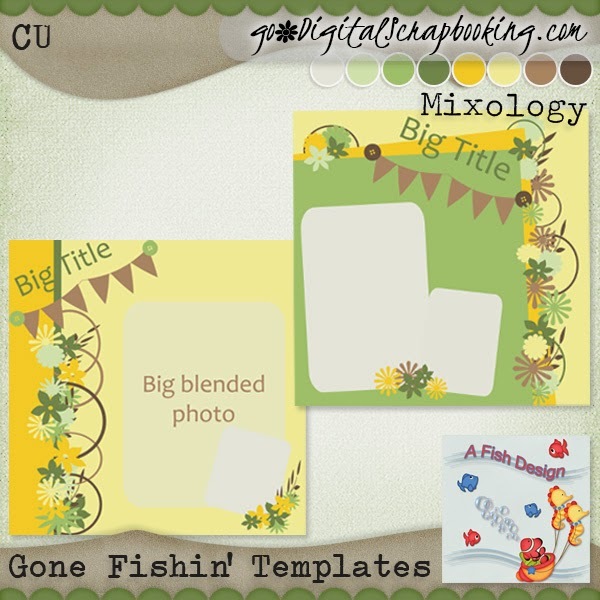 So I named these templates Gone Fishin' to match the color palette for this month. But these templates have nothing to do with fishing. In fact they both have a banner and lots of clustering on the side. 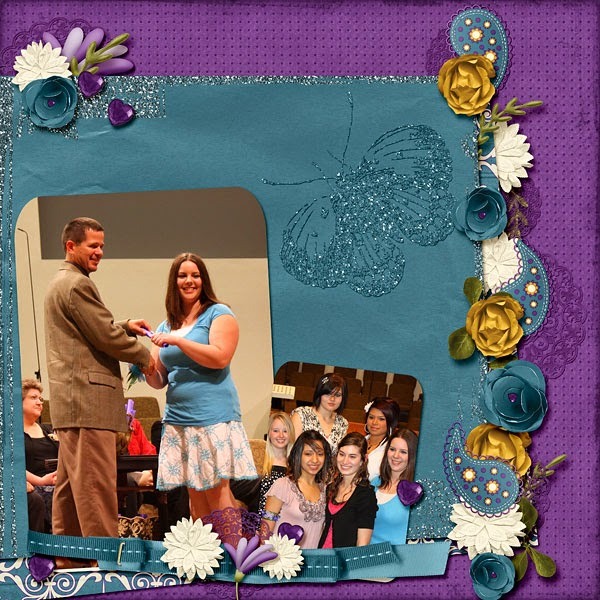 One template even has a "blended" photo space if you'd like to use it that way! Remember, templates are there for you to make them your own. You can flip them, add to them or take away from them. Just have fun with them and let your scrappin' style (and mine, LOL) shine! Here is what they look like. They are price at $1.20 for the first two weeks. Than they go up to $1.99. Here is what my CT and the Supreme Team CT and I did with them! Below is the list of the scenic stops along the tour. Have fun.